It’s that time of the year! Halloween season is here, which is easily my favorite time of the year! The latest PAW Patrol DVD collection is jam packed with spooktacular adventures from the hit Nickelodeon series. I love the spooky episodes of “PAW Patrol” and this new collection of seven episodes are a must have for any fan of the show. There is even a super ghoul double-length special episode! This is a perfect collection of episodes to get you in the Halloween mood! 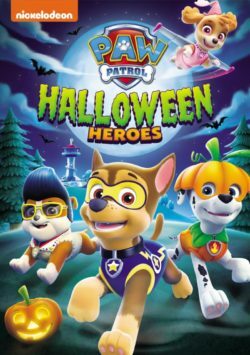 “PAW Patrol: Halloween Heroes” includes the following episodes: “Pups and the Ghost Pirate”, “Pups Save a Ghost”, “Pups and the Ghost Cabin”, “Pups Save a Bat”, “Pups Fall Festival”, “Pups Save the Corn Roast” and “Pups Save a Show”. I have SO MANY memories of my daughter and I watching “Pups Save a Ghost” I knew when she was little this episode used to scared her and yet she still watched it (proud horror fan daddy). These episodes are fun and yet still convey a good message for kids. Growing up in the 80’s, I was a huge fan of the original “Muppet Babies” series and when I heard that the show was being re-imagined for Disney Junior audience, I couldn’t have been happier, now with a 6 year old of my own to enjoy. Let me start with the fact that my daughter honestly has never been a fan of The Muppets at all, so I was hesitate introducing this show. Let me tell you from the moment that theme song hit her eyes lit up and she was hooked. Since her first viewing, this show has people her favorite to watch, she has seen each episode numerous times now. The voice cast is legit for this re-imagination. There is some amazing talent brought in here for this show including Matt Danner as Kermit the Frog; Melanie Harrison as Piggy; Dee Bradley Baker as Animal; Ben Diskin as Gonzo; Eric Bauza as Fozzie Bear; Jessica DiCicco as a brand-new Muppet Baby, Summer Penguin; and Jenny Slate as Miss Nancy. Disney went all out for this one and delivered for the parents as well as kids. 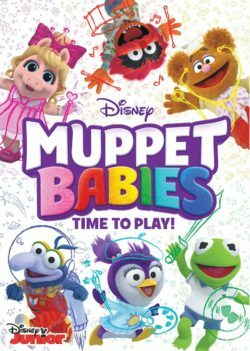 “Muppet Babies: Time To Play!” is the first volume DVD released for this The episodes included “Sir Kermit the Brave/Animal Fly Airplane”; “Super Fabulous vs. Captain Icecube/Piggy’s Time Machine”; “The Great Muppet Sport-A-thon/You Say Potato, I Say Best Friend”; “Hatastrophe/Fly South”; and even two bonus episodes “How Kermit Got His Groove/One Small Problem” and “Playground Pirates/The Blanket Fort”. There are also 10 “Muppet Babies: Show & Tell” Shorts with each of the characters. Other special features include The Great Muppet (Short) Musical and 6 Music Videos including “What’s So Scary About The Dark?”; “Never Have To Say Goodbye (To The Summer)”; “Get Back In The Game”; “Good Things Come To Those Who Wait”; “You Can Be A Dancer”; “Muppet Pirate Shanty”. Honestly I was impressed to see so many special features on a kids DVD but this one is jam packed! Can’t wait for future volumes! 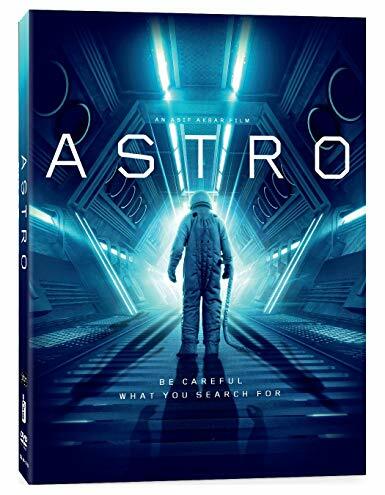 Media Mikes was proud to be the first site to review the film “ASTRO” immediately after it premiered at the Cannes Film Festival. Now, we have teamed up with our friends at Avail Films to give (2) lucky readers a chance to win an autographed DVD copy of the film. All you have to do is let us know below what has been the best “under the radar” film you have seen this year. (2) random entries will be selected and they will receive a DVD which has been autographed by the film’s director, Asif Akbar. Multi-Grammy nominated thrash icons Anthrax have just released their long-awaited live-in-concert DVD “Kings Among Scotland.” The release is available on CD, DVD and digital formats and features the bands two hour set from their sold out February 15, 2017 concert at the historic Barrowland Ballroom in Glasgow, Scotland. Also included on the two disc set are interviews, behind-the-scenes footage along with other B-roll footage shot on the band’s bus, backstage and in hotels elsewhere, plus “gear rundowns” from each band member. This release has been on my radar since it was first announced quite a few months ago and, upon receiving it I can say that it was certainly worth the wait! Even before I opened the packaging the artwork grabbed my attention as the band chose to riff on the classic Kiss “Rock and Roll Over” motif which was nicely embossed on the multi fold packaging. Inside along with the discs were a collection of live shots from the show as well as a sticker of the albums cover art (another nod to “Rock and Roll Over” which also came with a sticker). Even before I had this in the player I was already digging it. From the opening notes of “A.I.R.” to the closing notes of “Antisocial” some eighteen songs later the band appears to be at the top of their game and have never sounded better. Disc one is the live portion of the release featuring classic tracks like “Madhouse” and “Medusa” intertwined with newer songs like “Fight’ Em ‘Til You Can’t” and “Breathing Lighting” before giving away to an entire “Among the Living” set which is closed out by the bands anthemic cover of “Antisocial”. If all that wasn’t enough Disc two is jammed packed with candid, behind the scenes footage that gives you a glimpse of what it’s like to be on the road and the work it takes to makes a show like Anthrax’s happen each night. Director Paul M Green and Mixer Jay Ruston did a phenomenal job with the look and sound of the live show. The variety of camera angles used gives viewers the best experience possible without actually being there. The audio is equally top notch and sounds great no matter if you are watching it with headphones or using your home theater system. Anthrax really delivered something special with this package and, even though I would have liked to hear a few more songs from some of the bands more recent releases the new material they did play combined with all the classics was really great. Throw in all the material featured on Disc two including the in-depth gear segment and you will be hard pressed to find a similar package offering as much as “Kings Among Scotland” does. Since the birth of my daughter, now 6 years ago, Disney Junior has been a must watch in our house. All of their shows have been fun, even for parents, that is until “Puppy Dog Pals”. This is one show was one that I have not not been able to enjoy..but my daughter does love it. It is created by comedian Harland Williams (“Half Baked”). I have to admit though after watching the DVD this show is definitely growing on me. I see how much my daughter and even my nephew enjoy this show and if they enjoy it, I can dig it. Official Premise: Fun-loving puppy brothers Bingo and Rolly go on adventures throughout their neighborhood and around the world as a way to help quench their thrill-seeking appetites. The pups’ motto is life is always more exciting with your best friends by your side. For the pugs, those friends include owner Bob, his cat Hissy and his robot dog A.R.F. The reason why I am starting to come around for this series is because it teaches lessons about friendship, problem-solving and collaboration and these are values that I want my daughter to have. Plus I am a fan of Williams and he also provides the voice of Bob. 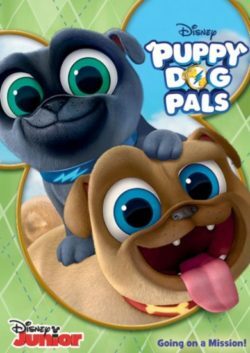 “Puppy Dog Pals: Going on a Mission” is the first volume DVD for this show and I am sure will not be the last. I would like to see a little bonus content included in future releases, at least something fun and extra for the kiddies to enjoy. There is still about two hours of content and at a price below $10 bucks, can’t go wrong here. Anthrax’s Charlie Benante Talks About The Filming Of The Bands Upcoming DVD, “Kings Aming Scotland”. “Kings Among Scotland” will be available in CD (audio only), DVD and digital formats (both video), and can be pre-ordered at www.anthrax.com. When ordered digitally, the purchaser will receive “Breathing Lightning (live)” instantly. The two-hour “Kings of Scotland” was filmed February 15, 2017 at the band’s sold-out concert at Barrowland Ballroom, the historic venue in Glasgow. The disc incorporates the band’s entire live show, and includes gems like “Madhouse,” “I Am the Law,” “Breathing Lightning” and “Indians.” The disc also features interviews, behind-the-scenes footage and other B-roll shot on the band’s tour bus, backstage, in hotels and elsewhere, plus a “gear rundown” from each of the band members. “Kings Among Scotland” was produced, directed, filmed and edited for Film24Productions by Paul M. Green (Opeth, The Damned, The Levellers), with the sound mixed by Anthrax studio producer Jay Ruston. 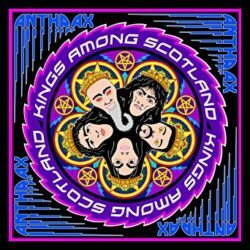 “Kings Among Scotland” can be pre-ordered now by going to www.anthrax.com. 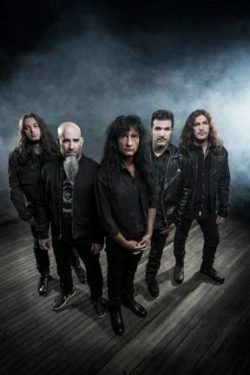 Anthrax is set to hit the road this summer with fellow Big Four cohort SLAYER who kick off their final world tour on May 10 in San Diego, CA On the Slayer Leg One “off days,” Anthrax will join up with Testament for a handful of shows. All dates are below. The November 13, 2015 terrorist attack in Paris claimed 130 lives around the city – 89 of them at the Eagles of Death Metal’s Bataclan Theatre concert. 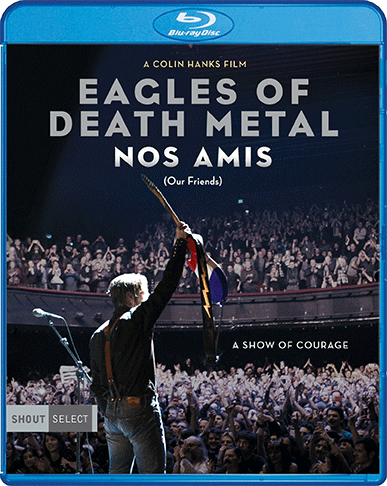 Directed by Colin Hanks, Eagles of Death Metal: Nos Amis (Our Friends) includes accounts of fans who survived the Bataclan attack, extensive behind-the-scenes footage of the band, and interviews with Bono and The Edge of U2 … and serves as a portrait of resilience in the face of unspeakable horror and a life-affirming coda to the events of November 13. 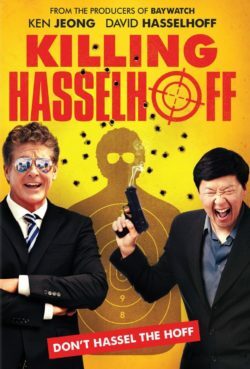 With a tagline like “Don’t Hassel the Hoff”, you know what your in store for with your picking up “Killing Hasselhoff”. David Hasselhoff has sunken into a very sweet spot in Hollywood. He has been playing off the camp sort of like Chuck Norris and his book of facts. Hasselhoff has been popping up everywhere like the new “Baywatch” remake and even “Guardians of the Galaxy, Vol.2”. The film is what it is. If you love Hasselhoff then this is for you if not then I would steer clear. Official Premise: Ken Jeong (The Hangover) and David Hasselhoff (Baywatch) star in the most hilarious and outrageous comedy of the year. When a struggling nightclub owner (Jeong) fails to pay back a loan shark, he decides the only way to get the money is to kill his pick in an annual “Who Will Die This Year” celebrity death pool: David Hasselhoff. But the task is not so easy – especially when your target is The Hoff. Universal Studios Home Entertainment has delivered “Killing Hasselhoff” on DVD only, no Blu-ray. 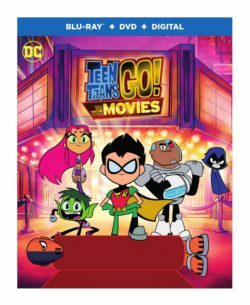 There is no Digital HD copy included and only a few deleted scenes for special features…but this DVD is also very cheap under $10, so I guess it balances out. Seriously though, how much does it cost them to include a digital copy these days? “Shark Week: Shark ’n’ Awe Collection” is a Walmart exclusive release and released to get us all excited for 2017 Shark Week coming up soon! Over the six discs, there is nearly a full day of content. This is not a full collection of 2016, rather what you get are some of the best episodes from both 2015 and last year. Some of the episodes includes in this new collection are “Alien Sharks: Close Encounter”, “Ninja Sharks” and “Sharks Versus Dolphins: Face Off” to name a few out of the 32 episodes included. Official Premise: Shark Week is back, making a huge splash with all-new, compelling and jaw-dropping shark stories and shark technology. Working with the most respected marine biologists and science institutions, Shark Week: Shark ’n’ Awe Collection highlights some of the most recent breakthroughs and developments that have led to remarkable new insights into these magnificent creatures. 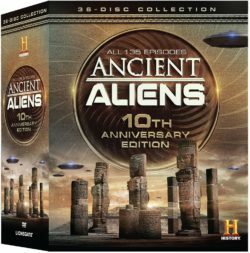 Other than the 32 episodes included over six discs, there are no additional special features included. The episodes chosen are solid choices for sure. Every year I watch Shark Week and I always think it will be the same of the same each year but it is not. I always learn something new with each year and these collected here deliver for sure. I am a big disappointed with the fact that Lionsgate did not include digital copies like with previous releases. I’ve seen the original Bette Midler (Actor), Barbara Hershey classic film “Beaches”, not a huge fan but I am familiar for sure. This is not a terrible remake. Unnecsary but definitely not terrible. It does scream TV movie though but it is a Lifetime movie so its sort of ok. If you like the cast and can deal with it being a remake, you might enjoy it also. Official Premise: In this contemporary remake, Beaches follows the serendipitous meeting of two young girls on the Venice Boardwalk, who, though worlds apart in lifestyle, embark on unexpected and lifelong friendship. This update to the 1988 film does include solid performances of the iconic songs from the original movie such as “Wind Beneath My Wings” and “The Glory of Love” from Idinal Menzel as well as her new original song, “Last Time”. This film is a Walmart only title. So if you want it that’s the only please to get it. No digital copy or special features are included on this DVD.